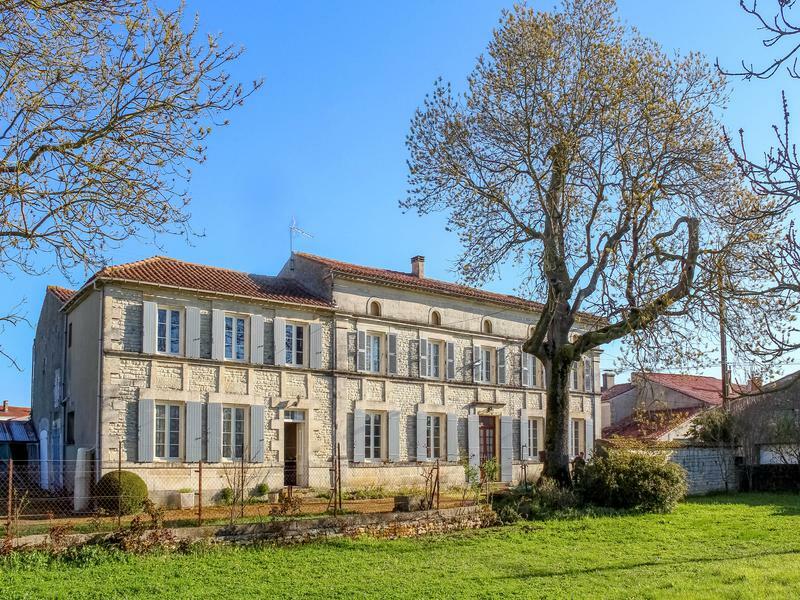 Elegant country house to renovate. 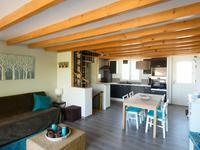 High ceilings, spacious living spaces, delightful mature garden. 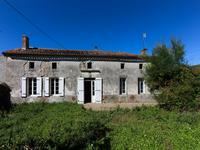 This property has masses of potential, just 40 minutes from the coast. 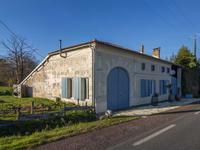 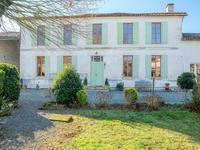 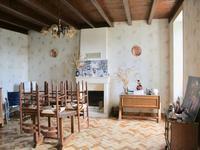 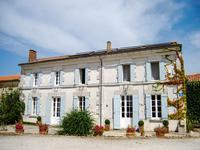 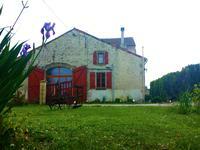 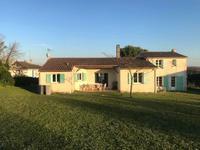 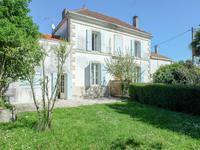 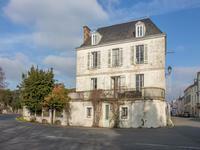 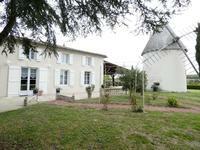 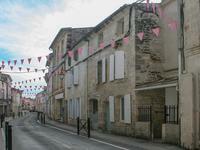 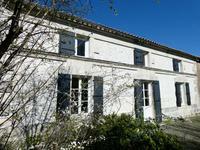 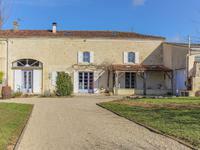 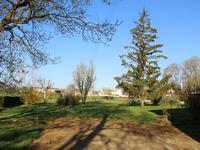 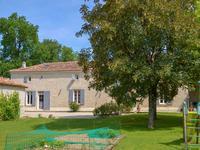 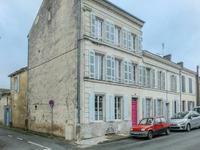 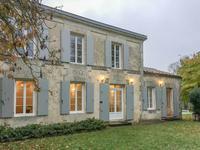 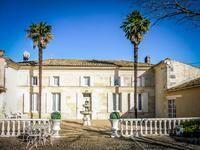 5 minutes from Surgeres, with TGV (Paris 2.5 hours), cinema, covered market, supermarkets, schools, lycées - all amenities. 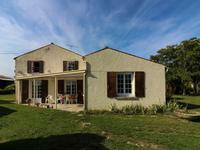 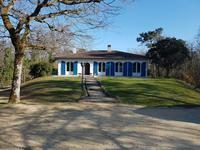 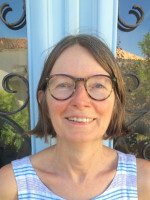 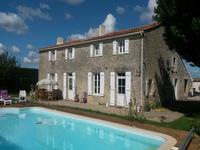 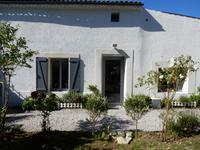 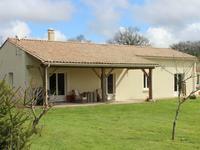 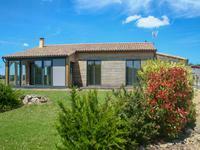 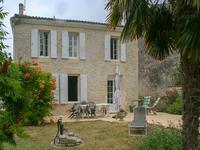 40 minutes from La Rochelle coast and airport. 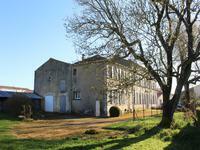 This grand house was once 2 separate houses, belonging to the same family. 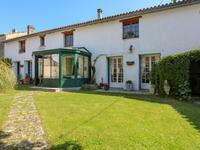 In the first house, on entering the charming hallway with fireplace (15m2), to the right there is a large sitting-room (30m2) with fireplace, and to the left the country kitchen (32m2) with wood-burner. 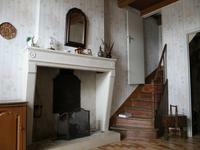 The wooden staircase in the entrance hall leads upstairs to 5 identical bedrooms, all 12m2, served by a long corridor. 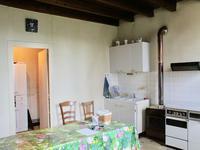 Behind the utility room is a large storage room (the chai) measuring approximately 44m2, housing the fuel tank (oil) for the central heating and hot water. 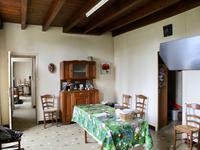 Above the chai and the utility room there is a vast attic (approx. 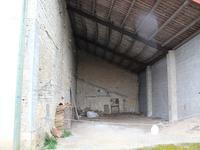 67m2) with concrete floor. 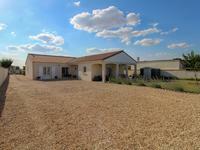 There is an open barn of approximately 80m2 attached to the property. 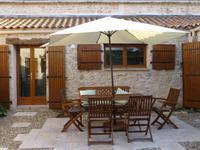 Windows are double-glazed pvc. 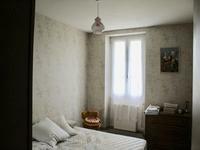 New wooden shutters. 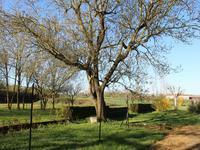 There is a well, and further outbuildings to the rear of the property. 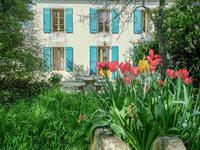 There is a large garden laid to lawn, with mature trees and open outlook. 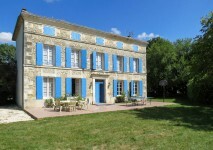 It is possible to build on part of the land.